Poker scanning camera, it can be installed in a poker chip rack. Chip holder poker camera is use to read the barcode marked deck, to know the outcome of analyzer system. It plays an very important role in poker playing cards scanner system, the good quality poker chip holder can scan the analyzer marked cards in 0.1 second. 1. It is more safe. Chip rack scanning camera is easy to operate, do not need partner. You don't need to worry that other people will know this poker card scanner. 2. It is suitable for all kinds of games. 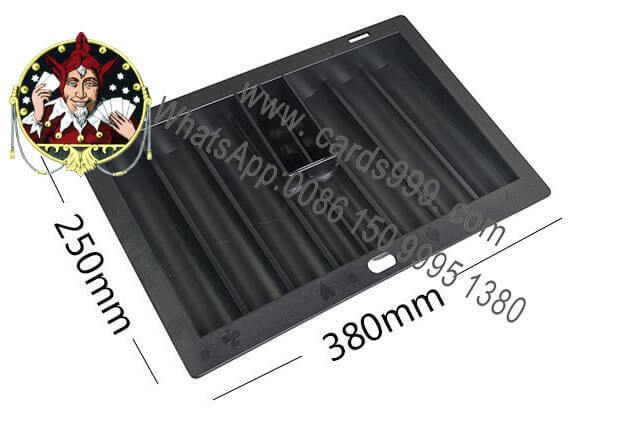 350 chips tray scanner camera can be used widely, whatever Texas Holdem, Omaha, Pineapple, Baccarat, BlackJack and so on. 3. Many kinds of distance are available. 7-15cm, 10-25cm, 20-40cm, 30-50cm and so on. The biggest advantage of this poker cards scanner is the working time, continuously working time is more than 20 hours.